Avant-garde soprano, composer and artist Diamanda Galás will perform at the Barbican in London this Monday (June 19), and tQ is very happy to give you the chance of winning a pair of tickets. Galás will perform material from her two newest albums, All The Way and At Saint Thomas the Apostle Harlem at the show which will also feature 20th century death poems and interpretations of songs by Albert Ayler, Jacques Brel and more. For more details, click here. If you would like to be in with a chance of winning the tickets, send the correct answer to the question below to comps@thequietus.com with the subject line 'Diamanda Galás Barbican'. The competition closes tomorrow (June 17) at 4pm. 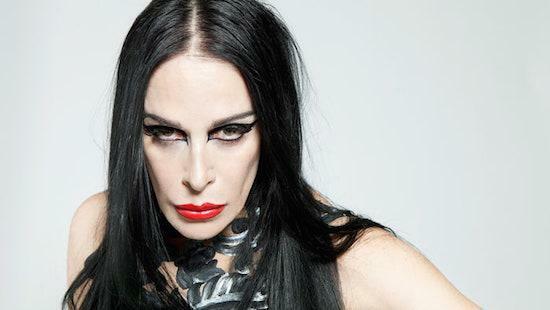 You can revisit Diamanda Galás' 2012 Baker's Dozen by clicking here and read on for the all-important competition question just below. On which Erasure album did Diamanda Galás appear?